In a move that is certain to cause greater confusion for employers planning to file H-1B petitions by April 1, United States Citizenship and Immigration Services (USCIS) has issued a proposed rule that, if implemented, will significantly change the process for employers filing cap subject H-1B petitions on behalf of an employee. The proposed rule, issued December 3, amends the current system for filing H-1B petitions in ways that USCIS claims will streamline how new H-1B petitions will be adjudicated while favoring petitions filed for applicants with U.S. masters or higher degrees. The rule would dramatically change the process for how the USCIS selects new H-1B petitions permitted by law each fiscal year that reserves 65,000 spots subject to the “regular” H-1B cap and an additional 20,000 spots reserved for those holding U.S. master’s or higher degrees. In recent years, cap subject H-1B filings have far exceeded the 85,000 reserved spots per fiscal year and therefore the USCIS holds a lottery though which it randomly chooses those 85,000 petitions for adjudication. Currently, H-1B applications must be filed with USCIS within the first 5 days of April in order to be included in the H-1B cap lottery once the number of applicants exceeds 85,000. Electronic Registration: Employers sponsoring employees for the H-1B cap must register electronically with USCIS before they can file H-1B petitions on behalf of those employees. Once the number of registrations exceeds the yearly cap on new H-1B cases, the registration period would be closed and employers would be notified which registrants have been selected in the lottery. Employers would then have 60 days to file H-1B petitions for those selected. Change in the Selection Process: Reversing the method used for determining how H-1B petitions are selected so that more applicants with master’s degrees or higher from U.S. colleges and universities will be selected. According to the proposed rule, electronic registration will create a more simplified, streamlined and cost-effective H-1B process for both employers and USCIS. Currently, employers must file complete H-1B petitions for individuals they are sponsoring for H-1Bs within the first 5 days of April if they are to be included in the H-1B lottery which is conducted when the number of applications exceeds the H-1B cap. Rather than a complete filing, electronic registration will require that the employer only submit its name, federal identification number, contact and attorney information and the applicant’s name, date of birth, country of birth, citizenship, gender and passport number and whether they have an advanced degree from a U.S college or university. Employers will not have to pay a fee for electronic registration. USCIS says a major benefit of the electronic registration process is that employers will no longer need to gather and submit the numerous documents required for full H-1B petitions. These include an employee’s educational credentials, job offer details, a Labor Condition Applications certified by the U.S. Department of Labor and other documentation. Instead, USCIS will conduct the H-1B lottery based on the electronic registrations filed by employers. Employers will only need to file complete H-1B petitions after they have been notified that the individual they are sponsoring has been selected in the lottery. In addition to the new registration process, USCIS is also proposing a change in the method for calculating how H-1B petitions will be selected in the lottery so that more individuals with U.S. master’s degrees or higher will be selected compared with the current system. Currently, when the number of H-1B petitions exceed the 85,000 total permitted by law, USCIS first conducts a lottery to select the 20,000 applicants with U.S. master’s degrees or higher. Once the 20,000 cap is reached, any remaining applicants in that category are included in the regular cap lottery of 65,000. Under the proposed system, all H-1B petitions, including those with U.S. master’s or higher degrees, will be included in the initial lottery. Once the 65,000 general cap is reached, which will for the first time include those with U.S. advanced degrees, USCIS would then conduct the H-1B lottery for the 20,000 U.S. advanced degree applicants, until the advanced degree cap is reached. USCIS anticipates that the new calculation method will increase the number of U.S. advanced degree petitions accepted by 16% or 5,340 workers. Because of the ease of electronic registration, it may encourage employers to register more petitions than they actually need, resulting in significantly more H-1B petitions for unqualified applicants while decreasing the chances of qualified applicants being selected in the lottery. The new method of calculating H-1Bs could also hurt businesses that do not normally require U.S. advanced degrees for the positions they seek to fill. The change could also be detrimental to employers seeking to hire the best candidates to fill positions. Because the change will increase the chances of those with U.S. master’s degrees or higher to be selected without considering the quality of their education or the schools they attended, those, those selected may not be as qualified as certain foreign applicants with master’s degrees or higher received from foreign universities. 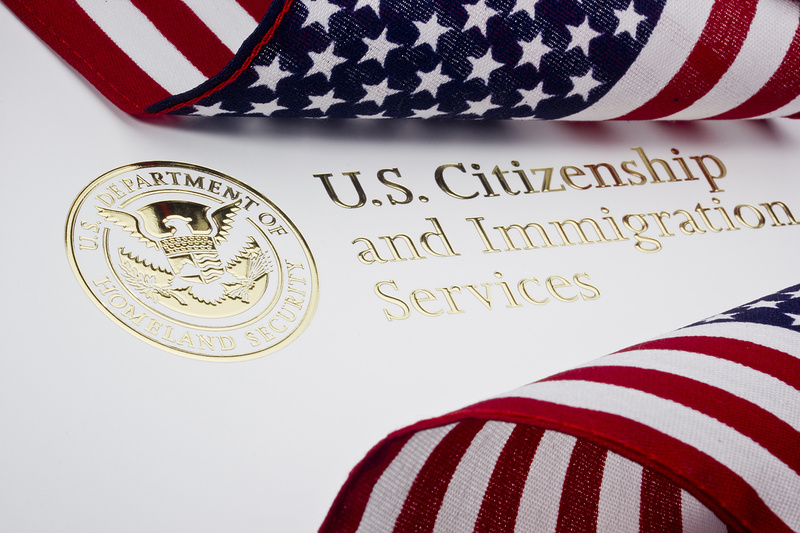 It is also uncertain whether USCIS has the authority to implement the new rule. For example, it may conflict with H-1B law requiring that those with advanced U.S. degrees not be included in the regular cap lottery until the 20,000 available slots are selected. Although USCIS would like to implement the new rule as soon as possible, it is not clear whether it will be ready for the April 1 H-1B filing season. The proposed rule is subject to a comment period that ends January 2, 2019 and a subsequent review period. In addition, the new electronic registration system will have to be in place. Recognizing this, the proposed rule enables USCIS to suspend the registration process due to technical or logistical challenges and to delay implementation until the next fiscal year. For more information on the proposed rule and how employers will be affected, please contact our attorneys at Minsky, McCormick & Hallagan.